The ecological and evolutionary role of tusks in elephants is debatable. Tusks may play a role in obtaining nutrition, such as from debarking of trees. They may be used by males in male-male combat and perhaps even by females (of African elephants) in establishing intrasexual dominance. More important, tusks in male elephants may act as a secondary sexual character that influences female choice of mates. Among Asian elephants, only males may possess tusks; thus, there is a distinct possibility that tusks may function as a secondary sexual character. Even when both sexes possess tusks, as in the African elephant or extinct proboscideans such as the mammoth or the mastodon, there is sexual dimorphism for tusk size. Richard Laws's data on tusk weights in Ugandan elephants show that, at 40 years of age, a cow has a combined tusk weight (30 kg) that is only one-fourth that of a bull (120 kg). This dimorphism may further increase to a sixfold difference in tusk weight between the sexes in the oldest age group. Such a difference seems to be the pattern in many extinct proboscideans as well. Alexander Averianov describes the tusks of the male mammoth as "turned medially very strongly and even crossed as their ends" (1996, p. 261). I can think of no other function of such enormous curved tusks in mammoths but their value in attracting the attention of females. There is considerable variation in tusk length among male elephants. Of course, this could arise due to differences in tusk use and rate of chipping or wear (this may also be region specific), as well as differences in rate of growth. Thus, tusk length by itself is not a reliable indicator of age in male Asian elephants, although the girth of tusks may provide a much better estimate of age. Since tusks keep growing in size throughout the life span of a male, any differences in growth rate may also accentuate differences in size. Beyond a certain size, the tusks may also become a handicap; heavy, long tusks may slow the mobility of the individuals, while tusks that cross at the tips may actually hamper feeding. I have seen several elephants in southern India with oversized tusks (one of these, a 26-year-old male named Cross Tusks Jr., studied for several years, is illustrated in fig. 3.7) that are distinctly handicaps. The famous elephant Ahmed of Kenya possessed enormous tusks. The tusks are thus potential candidates for Zahavi's handicap principle. Ivory poaching both in Africa and in Asia may have served to lessen the variation in male tusk sizes. The considerable variation in tusk length observed within an Asian elephant population provided the basis for Watve and I to test the Hamilton-Zuk hypothesis on intensity of male ornamentation and parasite loads. We looked at the elephants of Mudumalai Sanctuary in southern India. We used simple field techniques for aging male elephants and for measuring their tusk lengths. While age of the animal was estimated from its shoulder height, degree of ear folding, and morphology, the tusk lengths were measured from photographs of side profiles. We had to control for differences in tusk length due to age. For this, we constructed a standard growth curve of tusk length with age (obtained from a relationship of tusk girth versus tusk length in 158 museum specimens). The measured tusk length of a wild bull was subtracted from the average tusk length for that given age, and this deviation from the average was used in further analysis. We looked at parasites dispersed in the dung of elephants (to study other types such as blood parasites would have been very difficult for a protected species). Fresh droppings were collected by following individually identified bulls, and standard techniques were used in identifying parasite eggs and measuring their numbers. An Asian bull elephant (Cross Tusks Jr., pictured at estimated age 23 years) with a long pair of tusks. Oversize tusks could be distinct handicaps to the animal. Elephants had among the highest parasite loads of any of the mammalian species we investigated. This could be attributed to the low predation pressure on elephants (in other herbivores, such as axis deer, which show much lower parasite loads, the high rate of predation would presumably have weeded out individuals with crippling parasite loads). The parasites of elephants were mostly nematodes. Nematode eggs in dung of different elephants sampled varied from 0 to 20 million per day according to our calculations. 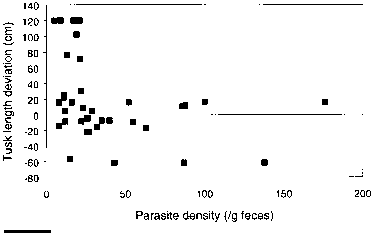 There was also a distinct seasonal difference in parasite loads in the population (both female and male), with the dry season loads much higher than the wet season loads (median loads of 25 and 9 eggs/g feces, respectively). When parasite loads (corrected for seasonal population differences) of 38 bulls (>10 years old) were plotted against their tusk length deviation from the average, a significant negative relationship was seen (fig. 3.8). In other words, bulls with longer tusks had lower average parasite loads. These results are in conformity with the Hamilton-Zuk hypothesis, although there are several other uncertainties. Such a relationship between tusk length and parasite loads also has important implications for conservation if we assume that these traits are heritable. In recent decades, both the African and the Asian elephants have been subject to high rates of ivory poaching (see chapter 8). Ivory poachers tend to preferentially target elephants with larger tusks. In the process, they may be eliminating genes for resistance to parasites from the population. Poaching has also occurred over historical timescales in both species, and it would be interesting to look at how this may have affected the distribution of parasite abundance in the host (elephant) populations. Many studies on parasite distributions in animal populations have found that the most common pattern is distinct clustering of parasites, with a large proportion of individuals of a species carrying few or no parasites, and a few individuals carrying large loads. Our studies also found this pattern in herbivores such as axis deer (Axis axis) and sambar deer (Cervus unicolor) with low parasite loads or omnivorous sloth bear (Melursus ursinus) and the carnivorous wild dog or dhole (Cuon alpinus) with high parasite loads. In all these species, the parasite distribution in the population was skewed, with individuals free of parasites or nearly so constituting the modal class. With elephants, however, there were few individuals in the parasite-free class. Could this pattern have come about as a consequence of selective poaching of larger-tusked elephants? Certainly, the Mudumalai Reserve and adjoining areas suffered significantly from poaching over the past two decades. Our study of tusk length and parasite loads was the first of its kind in elephants; therefore, the results should be interpreted with caution. We were handicapped by the relative paucity (due to poaching) of adult bulls in our study area. Even if a negative relationship between tusk length and parasite loads in male Asian elephants did exist, we have no idea of how female choice of mates is actually influenced by tusk size. Female African elephants do choose older bulls, which on average would have larger tusks, but are they selecting for body size and musth intensity or also tusk size in males? The role of tusks in sexual selection among elephants would be a fascinating topic for research. Several other questions on sexual selection in elephants come to mind. Tuskless male elephants (called makhnas) obviously follow a different strategy in attracting a female. 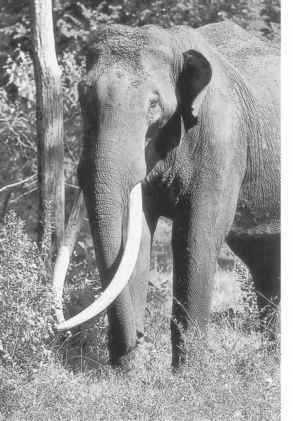 In populations in which both tuskers and makhnas are found in roughly equal numbers, as in northeastern India, the makhnas seem on average to be larger and more robustly built. Presumably, selection would have favored traits such as larger body size, better musculature of the trunk, and development of the skull in makhnas to compensate for lack of tusks. Even among tusked males, those with longer tusks may not necessarily be more robust in physique; in fact, the opposite may be true. The bulls Ahmed of Kenya and Cross Tusks Jr. of Mudumalai, with exceptionally long tusks, were relatively poorly built. No doubt, such subjective comparisons will have to be quantified with more rigor. The point I am trying to make here is that male elephants may follow alternative stable strategies. Madhav Gadgil has argued that dimorphism among males of many animal groups, from insects to mammals, may arise from selection for alternative strategies on cost-benefit considerations. One form may be superior in combat, but pay the costs of higher expenditure of energy to maintain the needed weaponry, while the other may gain in other ways (such as longevity) by conserving this energy. "This costly arms race comes to an end when those investing in weaponry are just as well off as those which have totally opted out of such investment" (1972, p. 580). With elephants, the situation may be similar, but with the additional role of female choice. Could the tuskless elephants or makhnas gain mating advantage through their robust build and intense expression of musth, while other males divert resources into tusk growth by which they gain a reproductive advantage through female choice for tusk size? Even among the tusked males, those with short tusks better suited for actual combat may be able to dominate in male-male competition or expend more energy for musth, while those with oversize tusks may gain from female choice for this handicap. These theories of sexual selection and the supporting empirical evidence have broader implications for species conservation. Hunters often claim that by shooting only the older males or those sporting the largest ornamentation (whether stags with oversize antlers or elephants with long tusks), they are only removing those individuals past their reproductive prime. In the case of elephants, this is not true. If legal or illegal hunting for several generations removes the most parasite-resistant males, there may be long-term implications for the population. 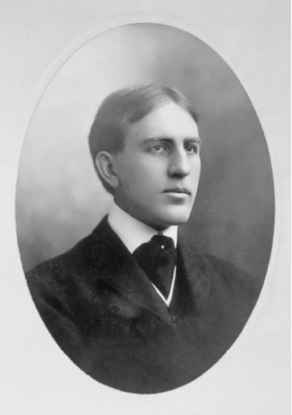 R. M. Anderson has shown theoretically that a high degree of aggregation of parasites is known to stabilize the host-parasite dynamics. Populations with less-aggregated distributions may become more vulnerable to parasitic diseases. Models show that species of parasites that have existed in an endemic state of low virulence for several generations may then become a serious health problem.